Even when your car is parked in the garage, it will be exposed to dirt, dust, and other external elements that can potentially be damaging. In the long term, it can affect the paint of your car and make it look unattractive. The good thing is that you can prevent this from happening. How is that possible? Through the use of a car cover. Especially if you often park your car outdoors, a car cover is a must. It will protect the paint and the glass from the harsh heat of the sun or from the rain. Have you even seen bird poop in your ﻿car’s windshield﻿? A car cover will prevent such. To add, it also keeps the car away from the prying eyes of thieves. 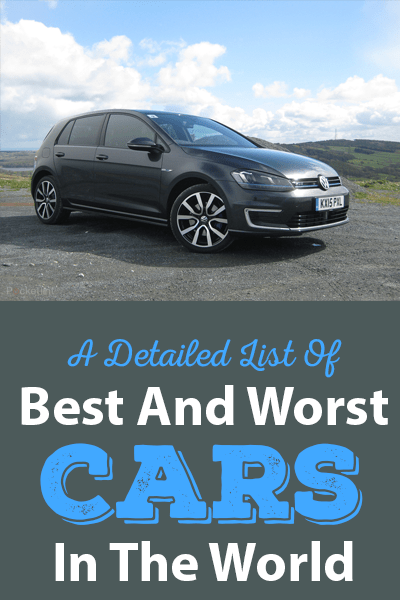 Are you on the lookout for the best car covers? Given the multiplicity of the options, it will not be easy for you to make the right decision. With this, keep on reading the rest of this post. We’ll discuss the essential factors you need to consider, as well as some of the best options that you can find in the market. 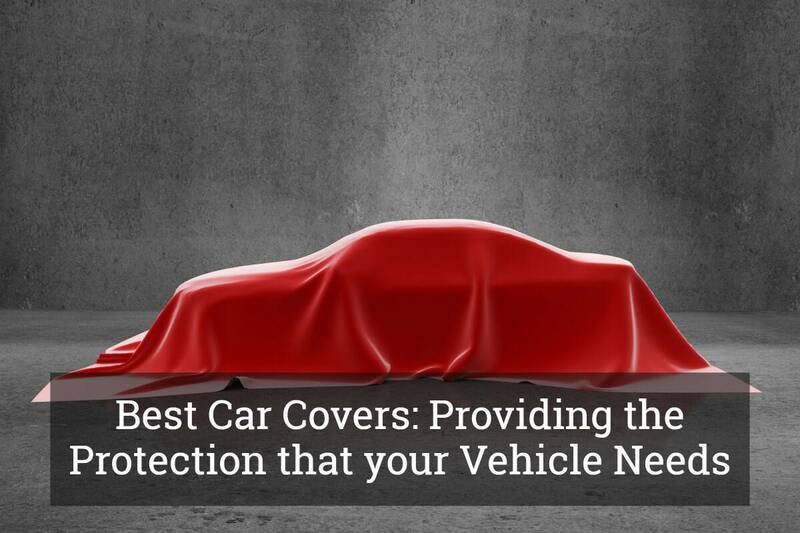 Before we discuss some of the top options for a car cover, below are some of the factors that will help you to narrow down the possibilities. This is one of the first things that you need to consider. Different covers have different specifications. The manufacturer will clearly state the compatibility of their covers with different models. If it is too small or too big, it won’t be able to achieve the intended purpose and will not be able to deliver the anticipated benefits. 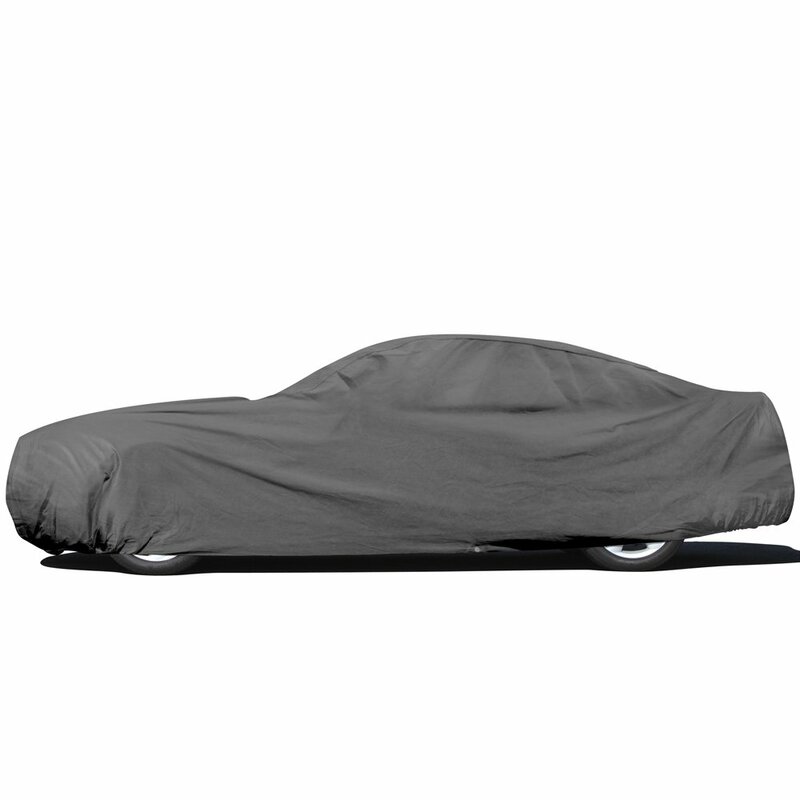 In most cases, a single model for a car cover is available in various sizes – small, medium, or large. Some manufacturers will also offer sizes based on vehicle categories, such as sedan or SUV. Check out the size first so that your money will not go into waste. Make sure that the cover is made from material that is thin and lightweight, which will help to improve air circulation. If it is breathable, there will be lesser likelihood that there will be moisture. This also prevents condensation. 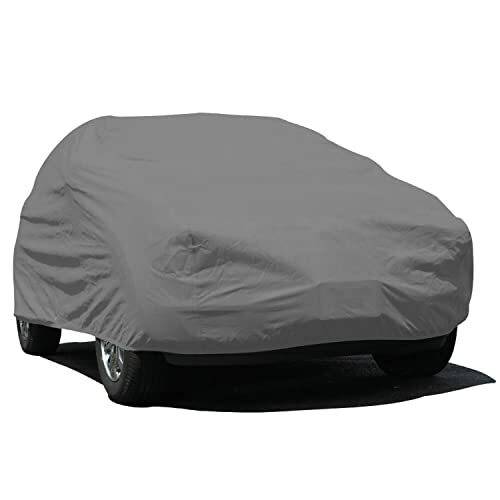 A car cover that is made from multi-layer polyester or satin can be good when it comes to breathability. If you want to be provided with the best bang for the buck, make sure to choose a product that is made from high-quality materials that will be able to withstand wear and tear. Pay attention to the construction of the helm as well. 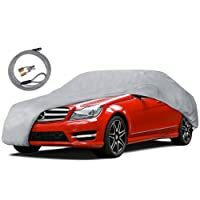 Regardless of the car cover is used indoors or outdoors, it must be long-lasting. 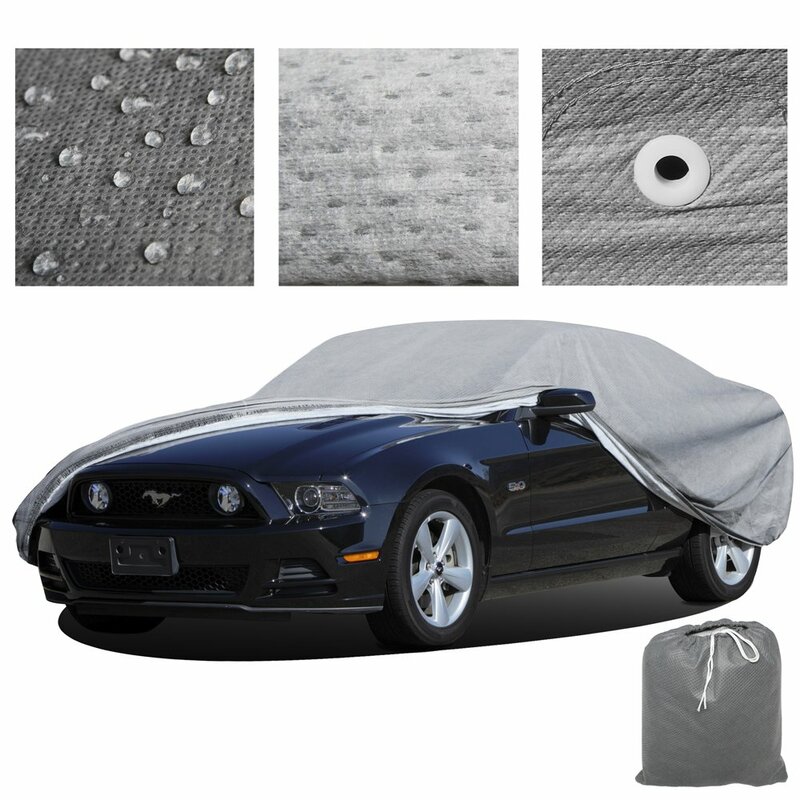 Look for car covers that are made from several layers of materials. This means that they will be thicker and will be resistant to damages. Speaking of materials, see to it that it has the ability to resist external conditions. Especially if your car will be parked outside, it should offer UV resistance for protection of the paint from the harsh heat of the sun. It should also be waterproof. Also, because of the possibility of condensation, see to it that the cover will be able to resist mold and mildew. This will be essential in making it more durable. Aluminized polyurethane acrylic is one of the best materials that can aid in the resistance of mold and mildew. 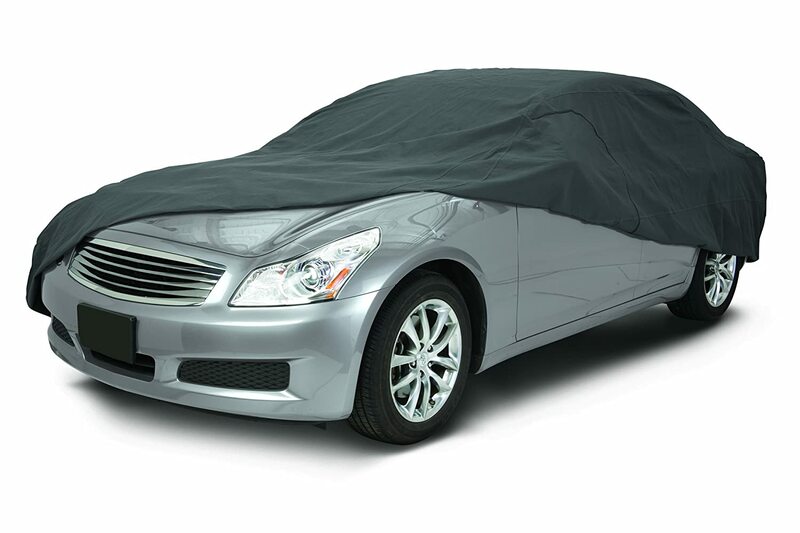 Car covers provide protection for your vehicle. These covers also need protection from dirt and other external elements that could speed up their wear and tear. With this, pick one that will be easy to clean and maintain, providing you with the guarantee that it will be able to deliver long-term functionality. Having a storage bag can be a big plus for a product. What if you are not using the car cover? Will you just leave it anywhere? With a storage bag, it will be protected from dirt and dust, making the car cover last longer. In the case of most car covers, the standard warranty is one year. There are some that can be covered for up to three years. Choose a longer warranty coverage, which should provide you with peace of mind. Nonetheless, keep in mind that not all problems will be covered by the warranty. If the problem is due to your negligence, the warranty will be voided. With this, pay attention to the terms and conditions specified by the manufacturer to be sure that you will be covered. Still having a hard time figuring out which one is the best product in the market? Do not rely on guesswork. Instead, to make a more intelligent decision, you should consider what other people are saying. 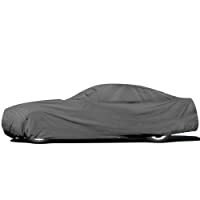 Ask around from friends who have purchased a car cover before. Or better yet, go online and read reviews from other users. Their experiences will be helpful in narrowing down your options. For sure, a lot of you will decide on the basis of price. You may be tempted to choose one product only because it is the cheapest, but this is never a wise thing to do. Price and quality are two products that go hand in hand. There is nothing wrong in choosing a product with a cheap price, but make sure that its quality will not be compromised. To help you make the right decision, below are some of the brands and models that can provide the best value for your money. If price is an important consideration, this is one option that should be given attention. It comes with an economical price, yet its quality is high. It is made using high-quality materials, which are also 100% waterproof. Whether it is used indoors or outdoors, you can be confident of its ability to provide the protection needed by your car. Speaking of its materials, it has five layers. Even with the latter, it is lightweight and makes it easy to put on and take off. Because there are five layers, you can be sure that it will be long-lasing. It also offers exceptional UV protection. The tied down grommet that is included in this cover is also a good thing. This makes it easy to secure the cover in different car models. However, if you have smaller cars, you might find this cover to be quite big. Lastly, it is also good that it offers breathability. This means that even if it provides optimal protection, there will be enough air inside, allowing your car to breathe. 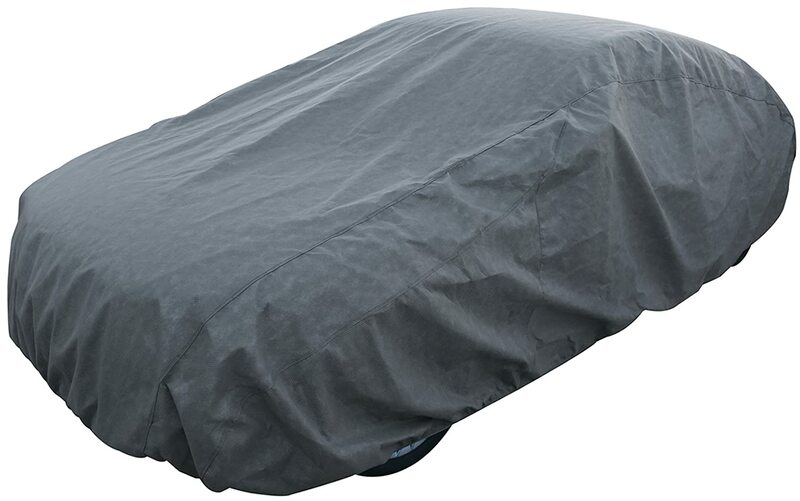 With the waterproof construction of this car cover, you can expect the highest level of protection from external elements, such as the sun, rain, snow, dirt, and dust. This is one of the simplest ways to protect your car and maintain its tip-top condition even through the years. One of the best things about this product is its overall construction. It is made using three layers of material, which is also micro-porous. The latter is the reason why it can provide the best protection against rain. From the specifications from the manufacturer, it has been noted that the seams have ultrasonic welds. This is supposed to make it durable and elastic. However, looking at some of the reviews, there are users who noted that it may not be long lasting. To avoid frustration, follow the instructions for care and maintenance of the car cover. If there is one product that is worthy of your attention, I would say that it would be this car cover. The first thing that you will notice is its affordable price. More than its price, it can deliver superior protection, even if it is not waterproof. Among others, one thing that I personally like about this product is that it comes with three years of warranty. Within such duration, if it experiences defects or problems in workmanship, the manufacturer has got you covered. Just make sure that the problem is not due to your negligence. The PolyPro 3 triple-ply fabric is another thing that takes it a notch above many of its competitors. With the latter, it can repel rain and snow, although it lacks 100% waterproofing. This material is also great because it is gentle, which means that it will not cause any scratches on the surface. It is also a good thing that there is a zippered driver side. This makes it easy to get in the car if you need anything. You do not need to completely take off the entire cover. Lastly, there is also a storage bag that is included. This makes it easy to keep the car cover when it is not used. This is another great option if you are on the lookout for a car cover that comes with an affordable price. However, do not expect too much from this product. It can be great for a while, but this is not one of those car covers that will be able to withstand the test of time. The fabric that is used may not be the thickest and most durable, but if there is one good thing about it, it would be the fact that it is breathable. 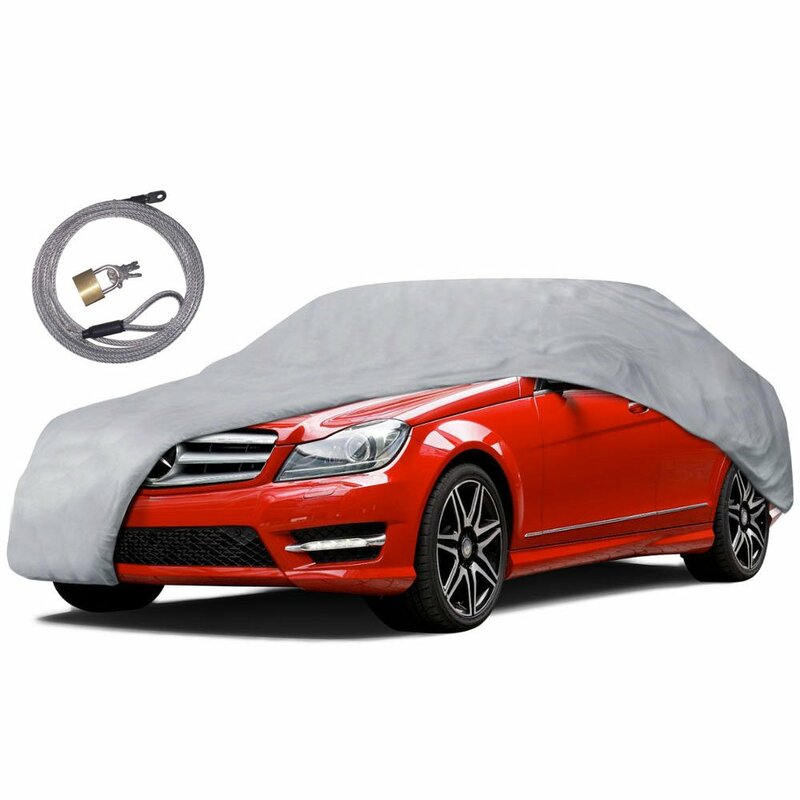 This makes it prevent corrosion and mildew as it makes sure that there will be sufficient air, even if the car is covered. Lastly, it also has all-weather protection. Whether it is raining or it is sunny, it will do a great job in protecting your car. However, you need to be wary as too much heat from the sun can speed up the wear and tear of the fabric. From the five products that are mentioned in this post, this is the one that comes with the cheapest price. Sadly, the price is reflective of its quality as well. I would suggest this product only if you are parking your cars indoors. Outdoors, this is not a great choice as it lacks waterproofing feature. There are also elastic hems that you can find at the bottom of the cover. This is supposed to make the fit snug on most cars. However, in some cases, the hem itself can be problematic, and hence, will make the fit look sluggish, especially if the car is small. Lastly, the manufacturer is offering a standard one-year warranty, which is pretty much good enough, especially considering its economical price. In sum, I personally believe that Classic Accessories 10-014-261001-00 Overdrive Polypro Car Cover﻿﻿﻿﻿ stands out from the rest of the products that we have mentioned in this post. It may not be 100% waterproof, but it is made from triple-ply fabric that can resist external elements. It is also durable and breathable. As a bonus, it has a 3-year warranty and a storage bag. 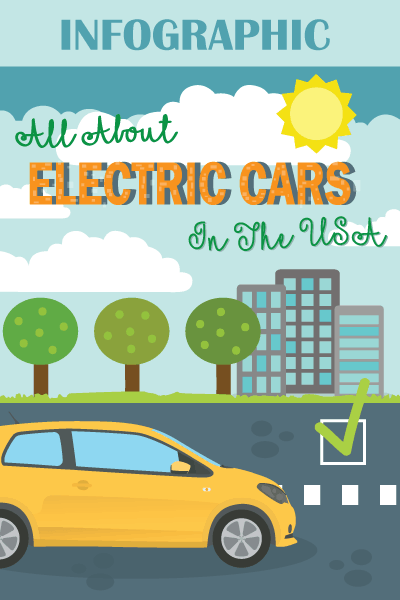 Are you looking for other products that you can use for your car? Click here and our buying guides will help you come up with the right decision.